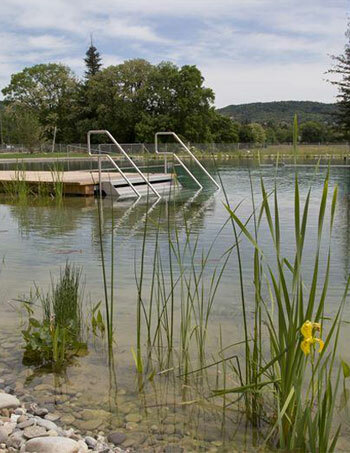 The people of Riehen, a small city near Basel in Switzerland, have long wanted a new public swimming pool to replace their “obsolescent baths” by the River Wiese. In the late 1970s, the city government even launched a design competition. Unfortunately, the initial vision was never realized, but, just a few years ago, the Swiss architecture firm Herzog & de Meuron got to thinking about new possibilities. 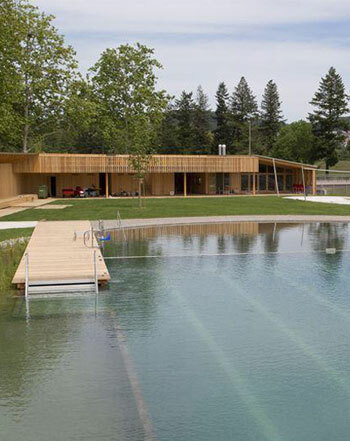 They write: “the changed perspectives brought by the intervening years prompted the idea of abandoning the conventional pool concept, with its mechanical and chemical water treatment systems, in favor of a pool closer to a natural condition with biological filtration.” The citizens liked the idea, giving it the thumbs-up in a municipal vote. 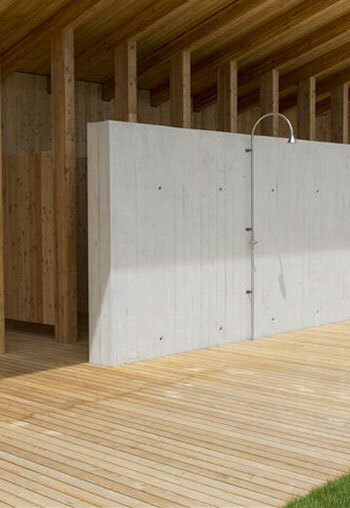 Herzog & de Meuron say their new approach enables “technical systems and machine rooms to vanish.” Their all-natural approach means no chlorine or other chemicals are added; filtering plants help keep the water clean. 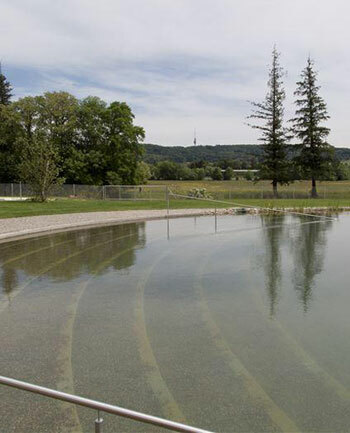 Biological water treatment basins, which are the “heart of the baths,” also play a major role. 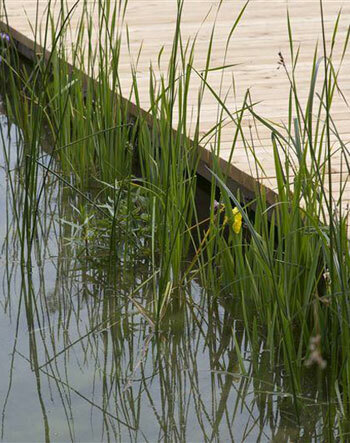 DesignBoom tells us: “The process is modeled after natural, terrestrial water purification, through layers of gravel, sand, and soil.” Herzog & de Meuron worked with Swiss landscape architecture firm Fahri und Breitenfeld on the system. 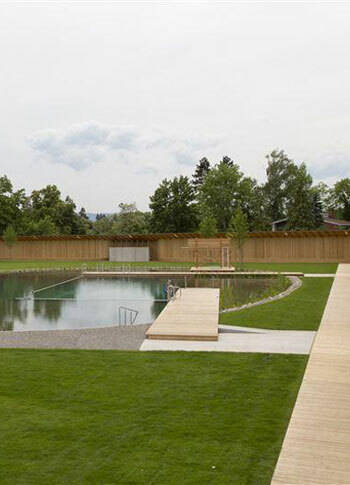 The structures around the natural pool are modeled on the local “Badi,” or Basel’s “traditional wooden Rhine-side baths.” Timber walls provide screen on the north and west sides, with built-in recliners for sunbathing. The southern view, which faces the river, is open. 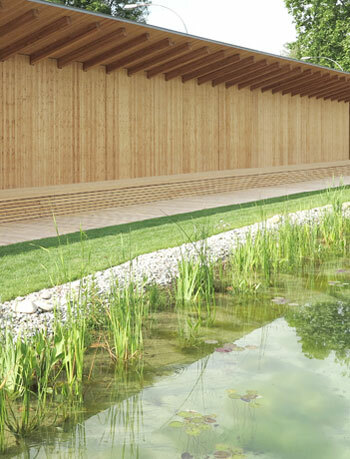 On the east side, the wood wall opens for the entrance. 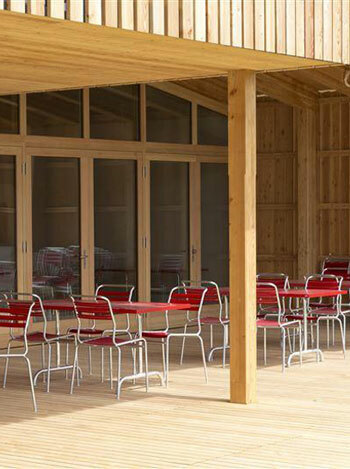 There are also open-air showers and a small cafe. 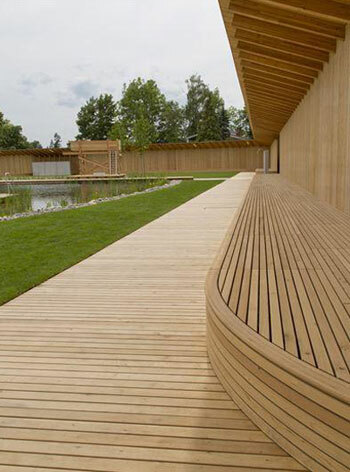 See more images at DesignBoom. Next Article New Survey: What Makes a City Great? The concept and technical accomplishments are terrific, but where are the people in the photos?